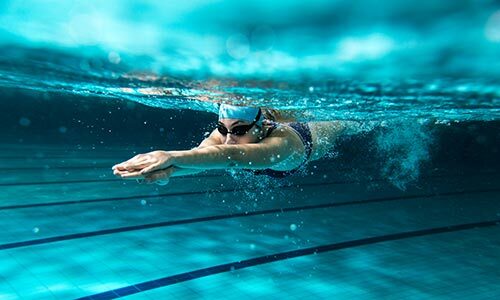 Signing up for a 1 mile (1600m) swimming challenge is a great way to get really fit, tone up and build your endurance. 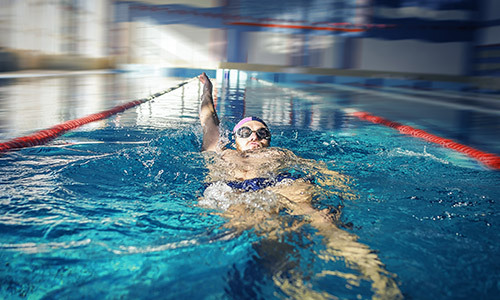 Swimming uses every muscle in your body and is fantastic aerobic exercise. But training is a must if you want to take on an endurance swim, because running out of puff or suffering from cramp in the middle of a body of water can be a very dangerous situation. If you follow this front crawl training programme to the best of your ability, you should be able to safely and comfortably rise to the challenge to complete a distance of 1 mile. This programme is a guideline only and you should consult your doctor before embarking on any major endurance or high intensity activity. 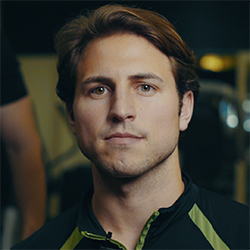 This programme is based on a 16 meter pool, if you are training in a pool of any other size just divide the distance stated by the length of your pool and you’ll know how many lengths to complete. pull drills (use only your arms and use a pull buoy between your legs). 10 lengths slow to cool down. Alternate between drills every two lengths for as long as you feel comfortable. front crawl with swimming gloves drills (these will increase the resistance on your hands and arms developing increased muscular endurance). 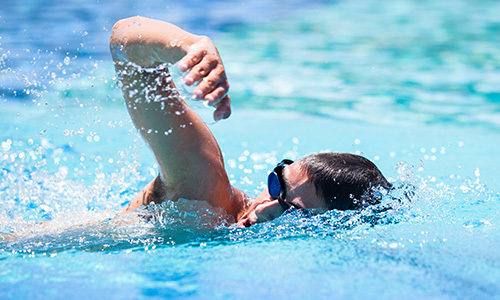 Alternate between the strokes every two lengths continue as long as you feel comfortable. thumbs to thighs (making you extend your pull range of movement). freestyle, 2 strokes per arm. Alternate every two lengths for as long as you feel comfortable. 5 x 6 lengths intervals, 10 lengths cool down.